Doujin Publisher Nyu Media’s second wave of games got a bit of a head start last year with Eryi’s Action. 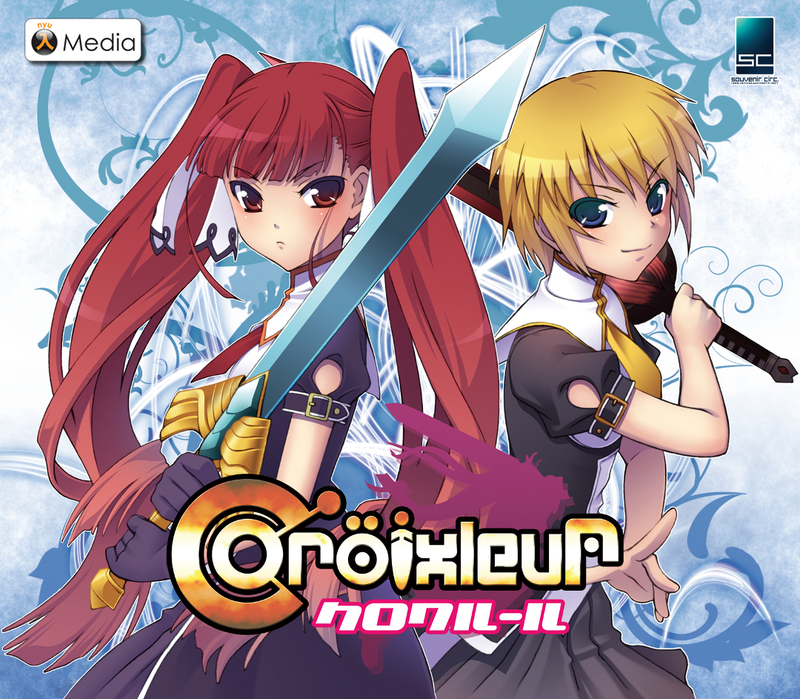 But the meat of this second wave kicks in with the release of Croixleur, scheduled to be released on January 24th. Developed by Souvenir Circ, the game pits you in an arena style fight against multiple enemies, climbing higher in the tower, and picking which portals to go through as you ascend. This gameplay style sounds reminiscent of Fairy Bloom Freesia, except the action is in full 3D and borrows a few traits from hack n’ slashers like Devil May Cry and Dynasty Warriors. While it seems to stress that it’s not an Action RPG, you still collect XP and level up, so I have no idea what’s going on there. Different weapons can be equipped for dispatching enemies, and each have their own special attacks. The game also has multiple endings depending on which portals you choose upon defeating enemies. Croixleur will also have three modes to choose from: Story Mode, Score Attack, and Survival Mode. For now the game will be released on January 24th on the game’s homepage, with Desura and GamersGate getting it afterwards. The game is currently looking to get a release on Steam through Greenlight. This entry was posted in Gaming News and tagged Croixleur, doujin, Hack and Slash, hack n slash, japanese indie game, nyu media, Souvenir Circ on January 15, 2013 by Steven T..